Halloween is coming. Do you have your costume yet? Well. I’m here to help. I’ve said before how much I adore Halloween because of being able to dress up as someone/something else for the night. I still haven’t quite decided what I want to be (and the clock is winding down), but I’m here to remind you that you don’t have to break the bank for a good costume if you don’t want to. Take my costume last year, for example. We were allowed to dress up at work, and so I wanted to do something safe for work, but still show off my skills. 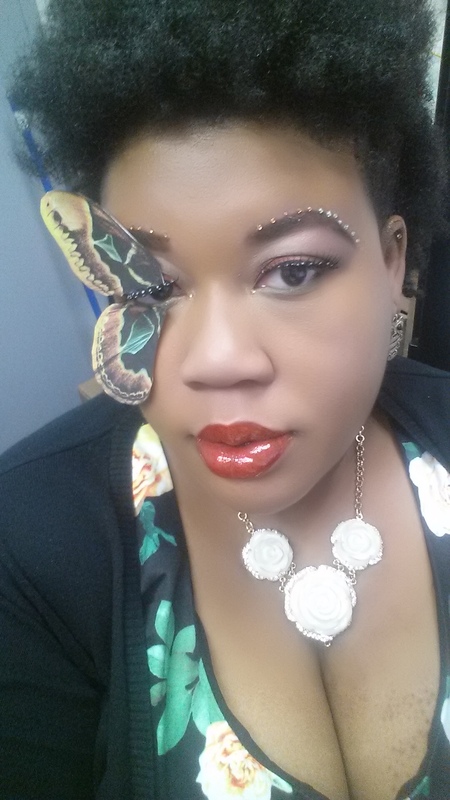 I decided to go as a butterfly garden. I didn’t spend any money for this costume! In that same vein, you’ll find some of the best inspiration in your closet. Ok, maybe you have a flower dress, but butterflies aren’t your thing. You could also add some wings and be a fairy, just add sparkly makeup. Plain dress? You could be any iteration of cat you can think of, or something else depending on the color of the dress. For example: yellow dress? Add a bow on your right side, and add black eyes and a mouth made of either felt or construction paper. You’re now Ms. Pac Man. I adore her work, and I’m trying to get to her level! This look is similar to the one I did up there, just with flower petals instead of wings! From Party City. 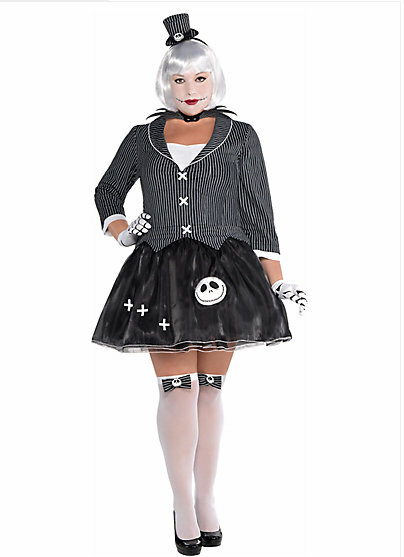 I have a Jack Skellington mug, so naturally this costume caught my eye. From Torrid. Have a more elegant party? Go as Loki and add some gold horns! From Hips and Curves, and my favorite! How fancy is this for a masquerade ball? Whew! I could talk about fun costumes all day if you let me, but I’ll leave y’all to decide what catches your eye. Besides, I have to come to a decision on what I’m doing for Halloween myself. I’m thinking something with spiders.